The registration is free for students and faculty from academic Fluid Power institutions. Companies interested in sponsoring the event, participating with a booth, and/or distributing promotional material should contact Prof. Andrea Vacca (avacca@purdue.edu). For general questions and inquiries: Patrick Stump pstump@purdue.edu. Travel and suggested hotel information will be detailed in the conference webpage. Digital pump/motors, broadly characterized as using discrete valves to control the fluid entering and leaving the displacement chamber in positive displacement machines, have been the subject of multiple research groups and industry over the past two decades. In general, the goals include improving the efficiency, particularly at reduced displacements in variable displacement units, and increased control capabilities. This presentation will provide a brief overview of digital pump/motors followed by the progression of research at Purdue University leading to a mechanically controlled pump/motor able to pump and motor each in a clockwise or counterclockwise rotation (four quadrant) and capable of pumping oil, water, and corrosive fluids. Similar to most digital pump/motor configurations the internal losses scale with displacement, and the pump/motor maintains its efficiency at low displacements relative to currently available units. The displacement can be controlled using simple mechanical motion and low forces, multiple fluids can be used (depends on piston sealing gap configuration), and the mechanically based fluid-control system is adaptable to radial, in‐line, and axial pump/motor configurations. Dr. John Lumkes, Jr is the Assistant Dean & Associate Director, Office of Academic Programs, in the College of Agriculture, and Professor of Agricultural and Biological Engineering at Purdue University. Dr. Lumkes received his Ph.D. from the University of Wisconsin in 1997. His Ph.D. research was the design and implementation of a control system for a hydraulic hybrid vehicle. His current work focuses on agricultural automation, fluid power, innovation and design, multi-domain modeling of dynamic systems, and mechatronics. He has published over 80 journal and conference articles related to his research and educational activities; in 2002 he published a textbook titled “Control Strategies for Dynamic Systems.” Dr. Lumkes has facilitated international exchange activities in Africa, Brazil, and China for Purdue students, and since 2009 has mentored over 200 undergraduate students on international design projects. He has been internationally recognized for his research, teaching, mentoring, and service learning activities. The simulation of positive displacement machines can be performed with very different levels of detail. The presentation reports real cases of pumps studied at the Politecnico di Torino over the years, where some phenomena, normally neglected in the simulation of those types of machine, have a strong importance on the results.More in details, the effect of the centrifugal force on the oil in the variable volume chambers and the influence of the elastic deformation of the components on the pump performances are described. The first phenomenon can induce a worsening of the filling at high speed if the flow area of the variable chambers is increased. A validated CFD simulation has demonstrated that in some cases the feeding of the chambers from both sides or the radial feeding can be detrimental for the volumetric efficiency. The deformation of the mechanical components, such as the port plate or even the cover in gerotor and vane pumps, is the main source of improvement or worsening of the volumetric efficiency, but even with an influence on the pressure ripple. Moreover the elastic deformation of the stator assembly can have an appreciable effect on the timing and on the displacement. Although the presented studies refer to very specific units, the outcomes can represent an interesting food of thought for those who are involved in simulation of fluid power machines. Graduated in Mechanical Engineering at the Politecnico di Torino in 1996. After graduation he participated, as visiting researcher at the Fluid Power Research Laboratory of the Politecnico di Torino, to extensive research projects on lubricating pumps for internal combustion engines. In 2005 he joined the Faculty as assistant professor. He is currently lecturer of the M.Sc. 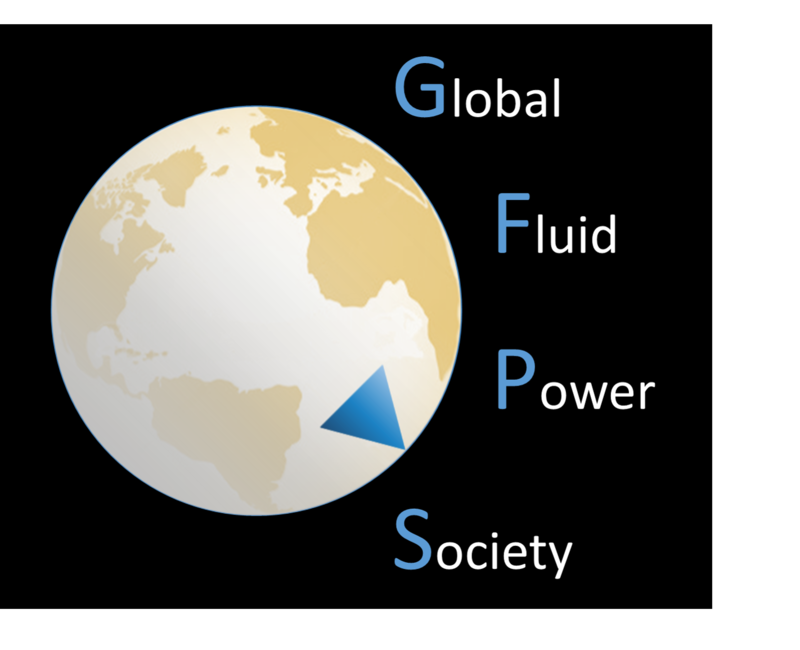 courses of Fluid Power and Automotive Fluid Power Systems. His research activity is mainly focused on modelling, simulation and testing of fluid power components. For several years, research and academic institutes have focused on the advantages of complementing fluid power systems with electronic systems. Over time, industry has progressively adopted such efforts including electronic controls and electronic devices to exploit the potential of fluid power systems thereby optimizing efficiency, productivity and reliability. For several years, Bosch-Rexroth has focused on the development of functional bundles that couple robust and highly efficient fluid power components with scalable, open and modular software to fit any machine manufacturer requirement. One such example is the electronic load-sensing (eLS) functional bundle for multi-actuator systems. This functional bundle enables the digitalization of one of the most well established hydraulic systems, load-sensing (LS), allowing for an increase in efficiency, improvement on the machine dynamics and ensures the stability of the overall system with minimal commissioning effort. This presentation will focus on the eLS concept and well as a technical example that illustrates the system functionality. Low speed high torque (LSHT) motors are used to propel a variety of off-highway vehicles. A variable displacement traction motor is desirable for several reasons, including enabling hybridization, increasing ground speed, and the ability to downsize the pump. Existing variable LSHT motors are either discretely variable or high-speed motors with a planetary gearbox. The Variable Displacement Linkage Motor (VDLM) is a LSHT motor that is continuously variable and can reach zero displacement. The VDLM offers several benefits over current LSHT motors in that it is highly efficiency over its operating range, has low torque ripple, and is displacement dense due to its multi-lobed cam and radial packaging. This talk will present a comprehensive dynamic model of the VDLM that captures the mechanism kinematics and kinetics, friction in the bearings and piston-cylinder interface, and pressure dynamics in the cylinders as a function of valve timing and piston trajectory. This model has been implemented in an automated motor design routine for rapid exploration of the solution space. An example multi-objective optimization of the motor parameters is presented for a specific application. The authors have previously demonstrated that trajectory-based HCCI combustion control enabled by free piston engine can provide considerable improvement in the fuel economy and significant reduction in the emissions compared to conventional engines. In this work, using simulation results generated from a physics based thermo-kinetic combustion model and experimental data from the newly developed controlled trajectory rapid compression and expansion machine (CT-RCEM) at the University of Minnesota, a framework is presented to study the effect of piston trajectory on the power and efficiency of HCCI combustion and using it for combustion optimization. Using a high-speed electrohydraulic actuator driven by a high bandwidth controller, the CT-RCEM provides the unique ability of complete and precise control of the piston trajectory inside the combustion chamber. This combined with the ability to precisely set the initial and boundary conditions (temperature, pressure, etc. ), as desired, a wide range of operating conditions such as different compression ratios, operating speeds, and different trajectories for same compression ratio and speed, can be experimentally explored using the CT-RCEM to further understand the dynamic relationship between the piston trajectory and HCCI combustion. The presentation will cover key development directions in hydrostatics, which have significantly contributed to the competitive standing in the offroad market. It will be shown how those developments have led to customer success as well as value, and which directions need to be taken to be prepared for the approaching mega trends. Dr. Robert Rahmfeld is the Senior Director Engineering for Hydrostatics at Danfoss Power Solutions, being technically responsible for all axial piston units (swash plate and bent-axis principle) in low, medium and high power duty. He is with Danfoss over 10 years in various engineering positions, holds several patents, and is author or co-author of more than 40 scientific journal and conference papers. Before joining Danfoss, Dr. Rahmfeld completed his PhD on new displacement controlled hydraulic linear actuators at the Technical University of Hamburg in 2002 under supervision of Professor Monika Ivantysynova, and his MSc in mechanical engineering at Duisburg University in 1996. Slot coating has been increasingly adapted in recent years toward deposition of patterned films, particularly narrow stripes and patches. These efforts represent significant progress toward a unique and highly scalable additive-only manufacturing approach. However, for various emerging technologies such as flexible electronics, display devices, sensors, and wearables, the feature size capability of patterned slot coating remains a persistent challenge. In this talk, we present a novel technique for slot coating of narrow features at or below 50 µm. Our approach features simultaneous deposition of two miscible coating fluids as a single heterogeneous film, in order to overcome some of the wetting behaviors that otherwise limit the patterned slot coating process. We describe the operational principles and material requirements for this process, and provide a simple process model validated by experimental results. In our discussion, we address the minimum feature size that can be expected, as well as the sensitivity of the output pattern geometry to process conditions and physical properties of the coating fluids. Dr. Tequila A. L. Harris is an Associate Professor in the George W. Woodruff School of Mechanical Engineering, at Georgia Institute of Technology and the Deputy Director of Manufacturing for the Center on Compact and Efficient Fluid Power. Prior to joining Georgia Tech, she earned her Masters and Doctorate degrees from Rensselaer Polytechnic Institute and a Bachelors in Physics from Lane College. Dr. Harris’ research is focused on exploring the connectivity between thin film quality and its functionality, durability and performance, based on its manufacture. Her aim is to elucidate mechanisms that cause system failure, which may have initiated at the manufacturing stage. With the use of numerical simulations and experimentation, she has introduced unique models and approaches to predict and control the quality of thin films, processed on permeable and impermeable substrates. By addressing the associated complex fundamental problems, she aims to impact a plethora of industries and fields such as energy, electronics and environmental. Dr. Harris has received several awards and honors, of note, the L. E. Scriven Young Investigator Award and the National Science Foundation CAREER Award. As the fluid power industry strives to follow design for six sigma principles to provide robust and reliable components and products, a solid understanding of the underlying physics of the product is required. The advantages of utilizing the understanding obtained through the work done at Universities and incorporating this in design for six sigma principles will be shown. An industry and University collaboration project will be presented to show the increased understanding of the physics of operation of a gerotor orbit motor. Kyle Merrill received a PhD from Purdue University in 2012 with an emphasis in Fluid Power. He has worked in research and development for Parker Hannifin for more than 13 years, supporting the development of products at three different divisions. His experience is in piston pump design, electro-hydraulic control of pumps and motors, hydraulic hybrid design, and gerotor orbit motor design. Herrick Labs supports world-class Mechanical Engineering research for students, faculty, and industry. Among the facilities available in our 83,000 square feet of space are HVAC and indoor air quality labs; advanced engine test cells; acoustics, noise, and vibration testing; and unique perception-based engineering labs. Herrick Labs is also home to the Center for High Performance Buildings, which partners with industry to develop new technologies in sustainable building systems, indoor environments, human perception and comfort, and high performance equipment.